With over 30 years of experience in the antique and collectables industry our professional team can help in the clearance of large collections, deceased estates, antiques, art, Australian pottery, jewellery, toys, retro items and collectables. An inspection can be arranged at your premises. A fee will be charged for this service. Goods may not necessarily be offered immediately for sale, we may schedule them for one of our upcoming monthly special auctions. We can arrange cartage for you at a cost to be determined. We can arrange valuations for legal, insurance, estates and collections for a fee. Our team includes experts in Australian pottery, art, decorative arts, ceramics, tribal, glass, books, ephemera, toys, tools, military, jewellery, sport, 20thC design, motoring, fashion, pubanalia, Australiana, music and film. Our standard selling commission rate is 22% plus GST and a once only lot fee of $3 (GST inclusive) together with any cartage or any other costs applicable. We charge a selling commission rate of 25% plus GST for packing and collection of small items and small pieces of furniture. A small cartage fee will be charged for additional visits to pack and collect following initial free collection service. Please note – Our standard commission rate is negotiable for large collections and consignments depending on the overall value. We photograph items of value, or interest, and advertise them on our Website, Facebook, Instagram and other social media at no additional cost. Should you wish to Reserve an item please discuss this with our auctioneer when submitting items. Changes to reserves will not be accepted after the item has been published in a catalogue. THE COLLECTOR acts only as agent of the person or persons specified as “the vendor” agrees to the terms and conditions herein. THE COLLECTOR acts only as an agent for the vendor and holds the property for the purpose of Auction or private sale thereafter. SUBJECT TO THE AGREED RESERVE PRICE , THE COLLECTOR is entitled to sell the property to the highest bidder at auction. THE COLLECTOR is entitled to deduct a commission, as specified from auction of the goods. The commission shall be calculated by applying the commission rate plus GST that is agreed and deducted from the gross sale provided that The Collector has been paid in full for the item. THE VENDOR, shall not bid, or instruct any person to bid for the Vendor’s items. THE VENDOR may withdraw the property at any time prior to the auction, however a charge of 22% of reserve prices plus lot fee, or top estimate will be payable to the Collector. THE COLLECTOR has complete discretion as to whether or not to offer the property for sale and as to the place, date and manner. 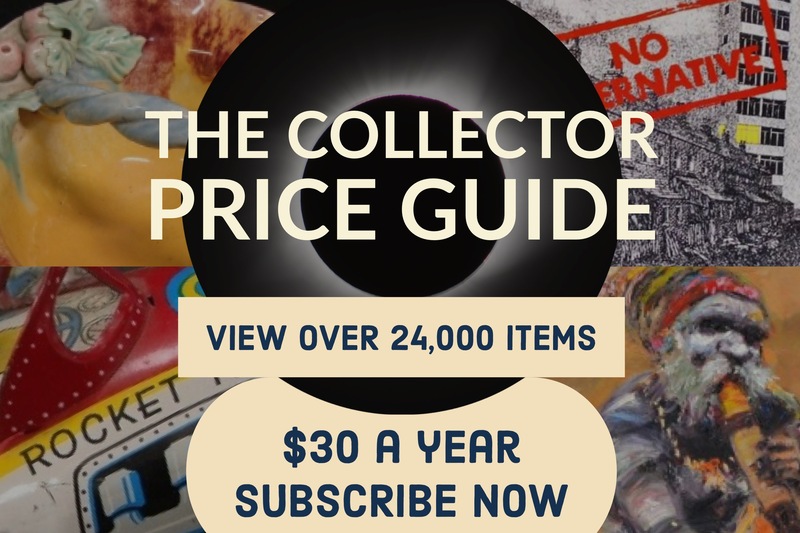 The Collector has the right to withdraw or decline to sell any item without reason or notice to the vendor. 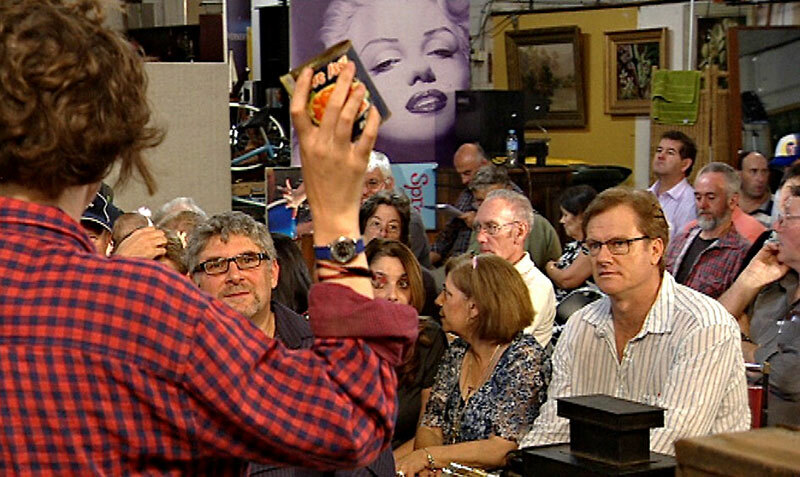 THE VENDOR gives The Collector the right to photograph, illustrate or reproduce the property and to use this material at any time before, during or after the auction. THE VENDOR will indemnify and keep The Collector indemnified against any claims made by the purchaser against The Collector in relation to the property. ALL items sold through The Collector will attract a buyer’s premium of 22% plus GST on the hammer price. INSURANCE to be arranged by the Vendor. RESERVED goods not sold and not collected within seven days will be re-offered for the maximum of two auctions. The Reserve will be dropped 20% the second time offered and 40% on the third time.